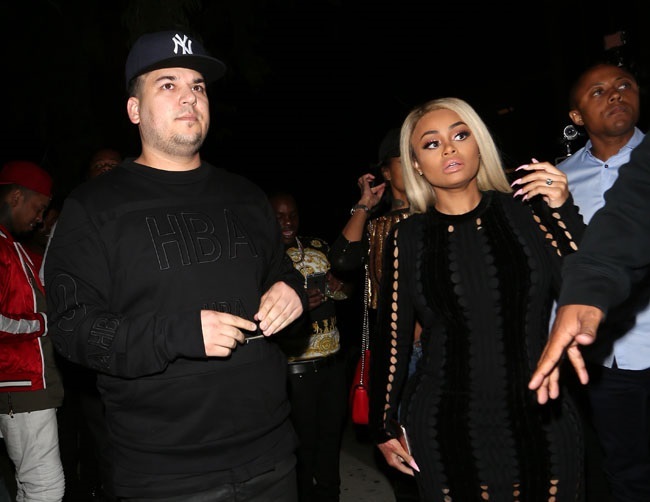 Blac Chyna has confirmed she is leaving Rob after constant arguing and reported verbal abuse. The news comes just a month after the birth of their daughter. It all became public after her Instagram account was reportedly hacked, uncovering screenshots of a discussion with her lawyer about trademarking her future married name of Angela Renee Kardashian. Moreover, direct messages were uncovered involving Young Thug, Jaden Smith and other prominent figures to which the star revealed she was leaving. Chyna eventually wrote this since-deleted post: “I’M DONE. This entire year I have done nothing but help Rob! It’s so SAD & PATHETIC how low he’d stoop to cover up HIS PERSONAL ISSUES! I have done nothing but help & loved him from the beginning! It’s Chy here I got my own!!! Chyna went on to explain how Rob routinely mistreated her throughout the pregnancy, and she constantly felt like she was babysitting her own partner. The star continued: “Rob asked for all of this! Rob begged me to have Dream! He stressed me out my ENTIRE PREGNANCY!!! Accusing me of cheating, going crazy on me with massive text blast daily! being an absolute lunatic & then cover it up with gifts! Meanwhile, Rob – who has been living in one of Kylie Jenner’s homes with Chyna and the children – says he is “heartbroken” by the situation and doesn’t know if or when it will be resolved.